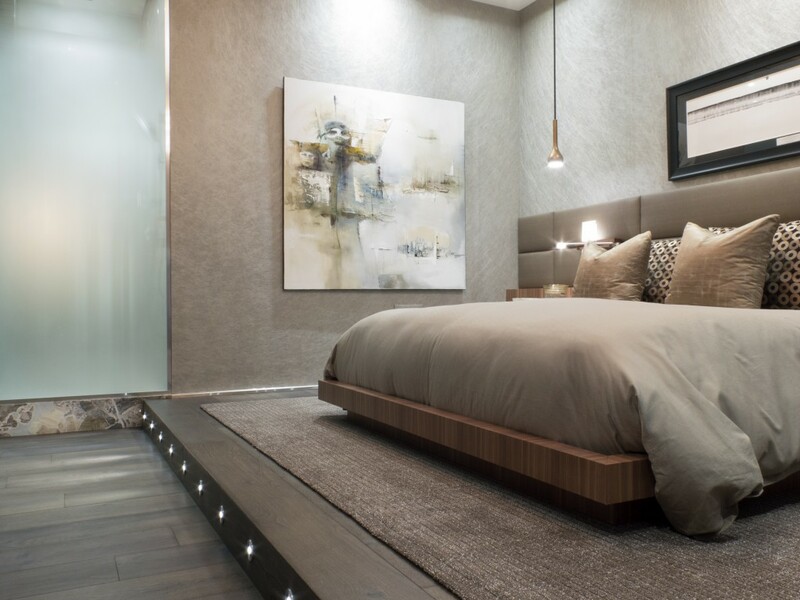 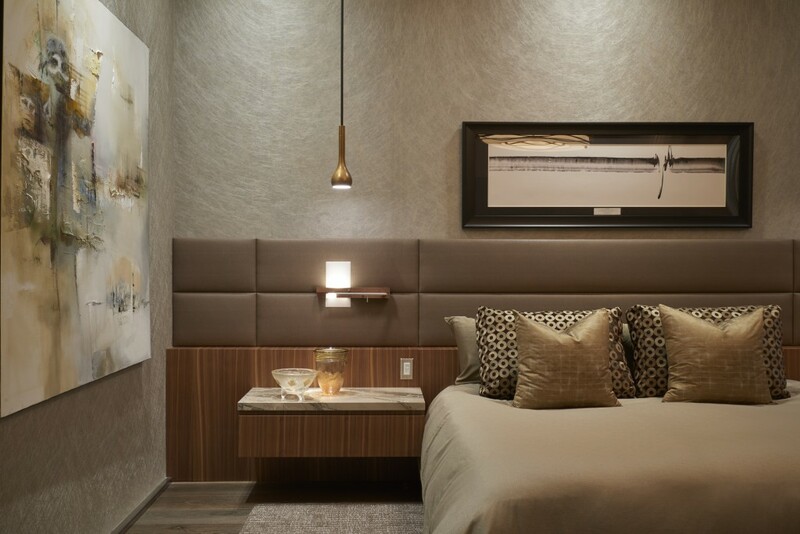 Blissful Guest Suite | Portfolio Projects | Fleur-de-lis Interior Design Inc.
Tonal, calm, subtle materials, and textures blend together in this luxurious king suite. 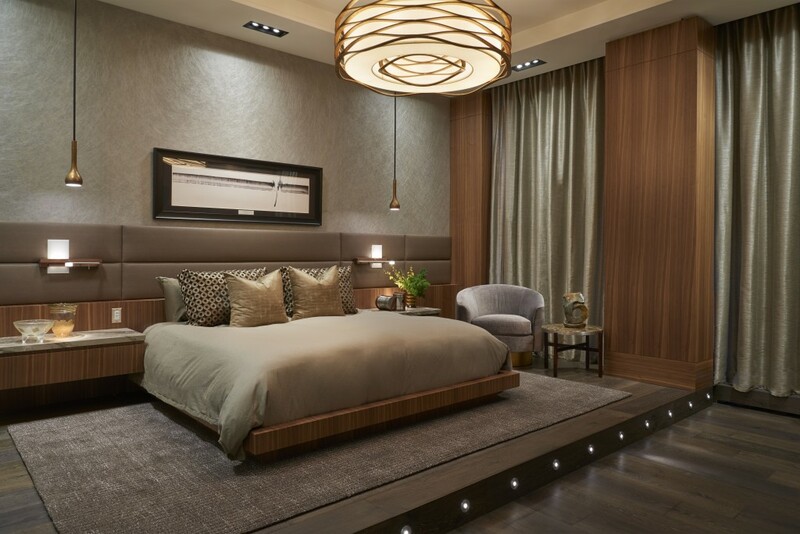 The warm colour palette of grey stained wood, old world marble, and flat cut walnut is punctuated with patterns of curated accessories. 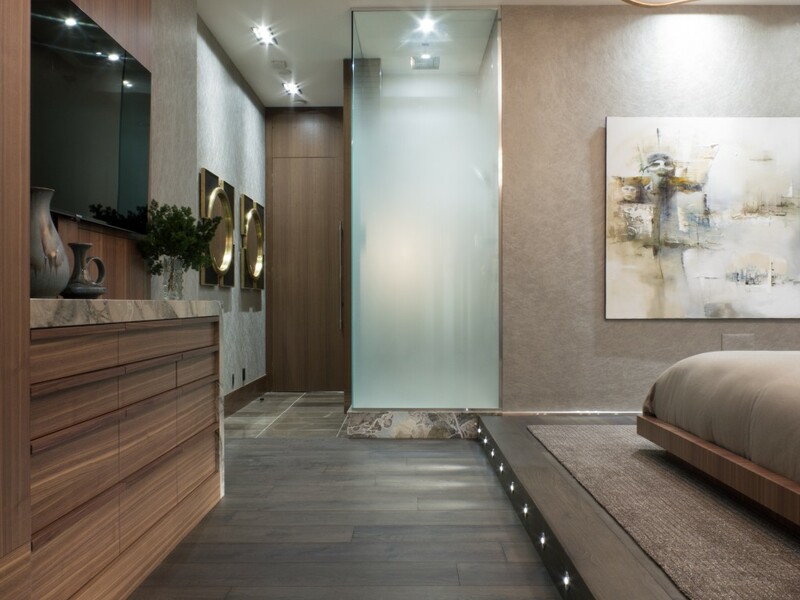 The frosted glass shower separates ensuite from sleep space and allows sunlight to flutter through. 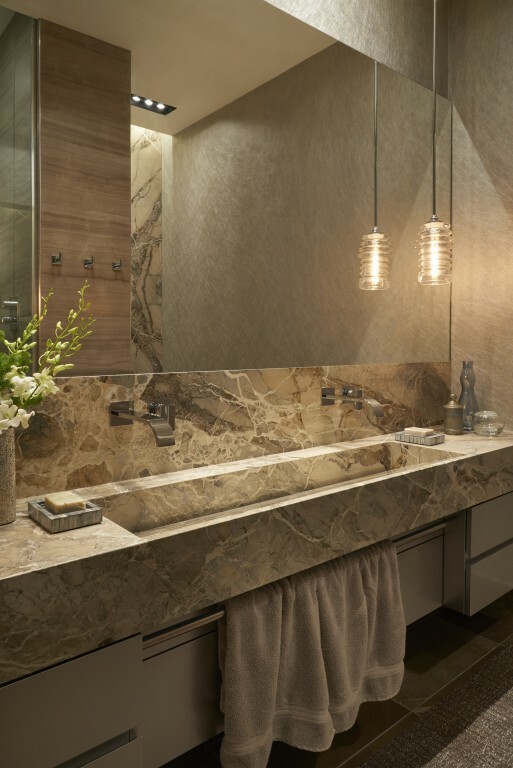 Custom marble sink and water works pendants create a five star bath experience.